When Imagineers approached Disneyland Paris' Tomorrowland, they had a chance to start totally afresh. 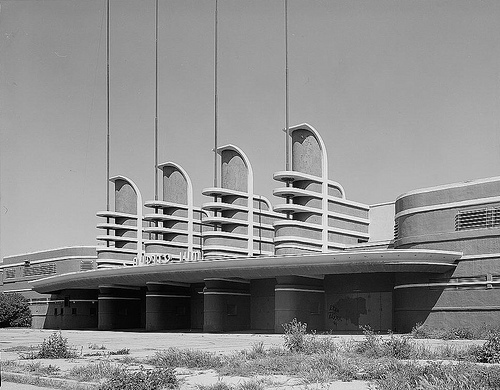 The same stark, white, googie Tomorrowland existed in Disneyland, Magic Kingdom and Tokyo Disneyland, and all of them struggled to live up with the "Tomorrow" part of their names. The fact is, we're progressing all the time, which means a continuous shifting of goalposts, and a huge amount of cost to keep updating the attractions and environment. This challenge to find a solution that wouldn't date itself quickly, fed into the other driving forces of the park; firstly, there was a fear that the French would reject outright a mere clone of Disneyland - the epitome of American entertainment plonked next to Paris, the global capital of art and culture. 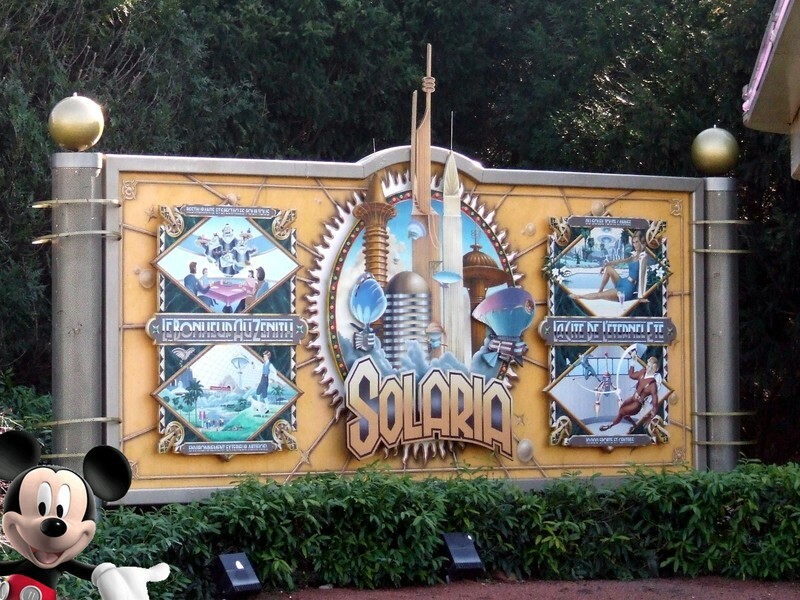 Secondly, then-CEO Michael Eisner was looking to build a legacy for himself, encouraging designers to create an insanely detailed, beautiful, rich and unique environment, and a flagship for all Disney Parks. All of these factors led to the creation of Discoveryland - a land that would celebrate the future, as seen from the past, with a major Jules Verne influence. At a casual glance, the land appears uniform in it's bronze and neon aesthetic, but if you dig a little deeper, you'll see that each area has its own style and together represent the history of the future. Standing at the entrance to Discoveryland is The Orbitron which takes its design cues from Renaissance artists and inventors, especially Leonardo Da Vinci. 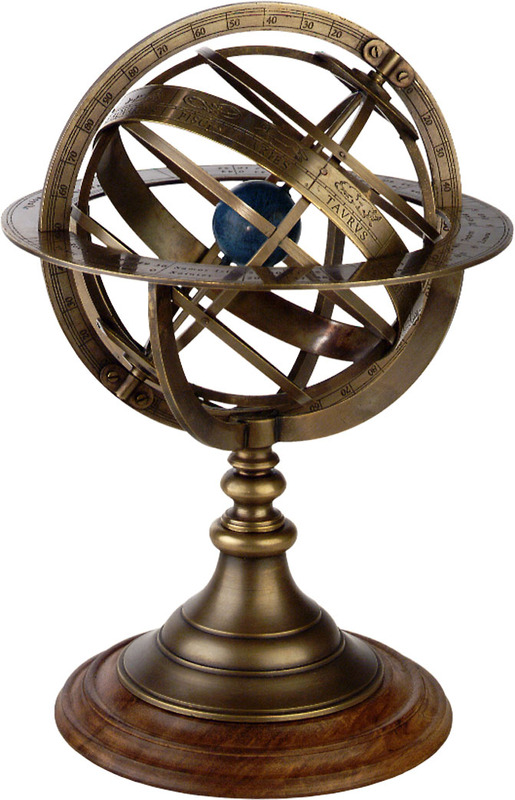 The design takes its inspiration from early astrological devices, such as the orrery which demonstrated planetary orbits, and armillary spheres which are 3D representations of the heavens. The Orbitron's patent also references a prop (Aughra's Orrery, below, second from right) from the 1982 film The Dark Crystal as inspiration. As this is Disneyland Paris, it's only logical that the lion's share of Discoveryland pays tribute to France's greatest science fiction author, Jules Verne. 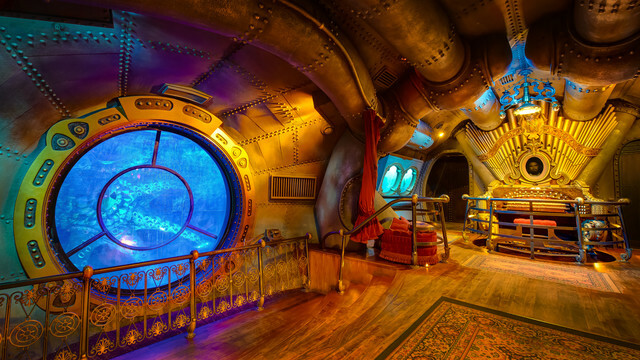 Firstly, these landmarks are all lifted from his novels: Space Mountain is based on From The Earth To The Moon, Les Mystères du Nautilus features the iconic submarine from 20,000 Leagues Under The Sea (the Nautilus' design is based on its appearance in the 1954 Disney live-action adaptation). Finally the Hyperion Cafe resembles an airship hangar, with the Hyperion ship from moored out front. This is based on a little-know Disney film from the 70's called The Island At The Top Of The World. The film was set in the 1900's so the ship and its Victorian-inspired interior fit in perfectly. Nowadays this combination of sophisticated technology in a Victorian setting is far more commonplace, and is referred to as Steampunk, but back in the 90's this term was unknown. Back towards the entrance of Discoveryland, Le Visionarium (currently Buzz Lightyear Laser Blast) shows the future, as seen from the 20s and 30s. The iconic pylons call to mind the 30's design icon - The Pan Pacific Auditorium and the classic art deco sunbursts, such as those inside the lobby of The Empire State building. Autopia celebrates the future as seen from the 1950s and 60s; back then science marched on at an astonishing rate, with corporations promising even more wonders to come - atomic microwaves, flying cars and jetpacks. This setting is reminiscent of such classic science fiction as The Jetsons , Lost In Space, as well as publications like Popular Mechanics. 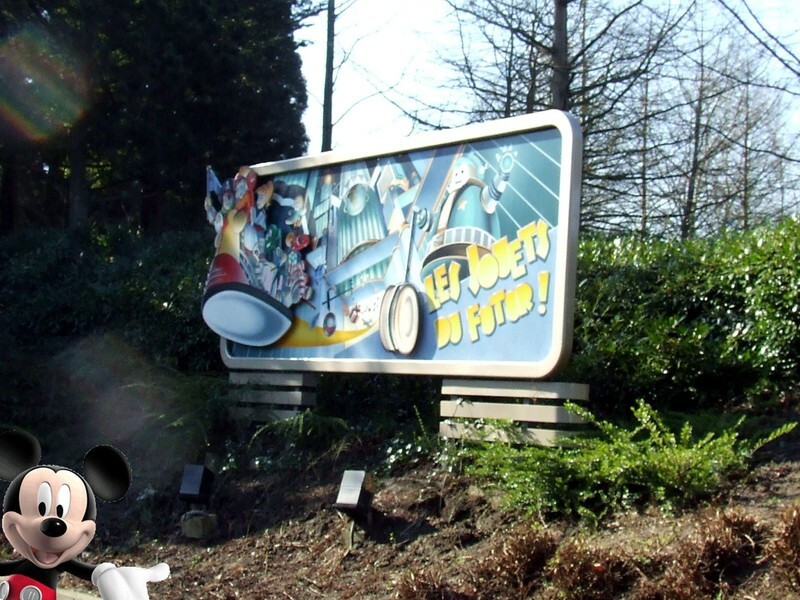 Autopia also reflects the commercialisation of the mid-century as you drive past futuristic billboards. Finally, at the back of Discoveryland Star Tours represents the present of futurism. The building and surrounding shops show the minimalist, modular, industrial, futuristic vision of not only the Star Wars series, but also films such as Alien and The Fifth Element. 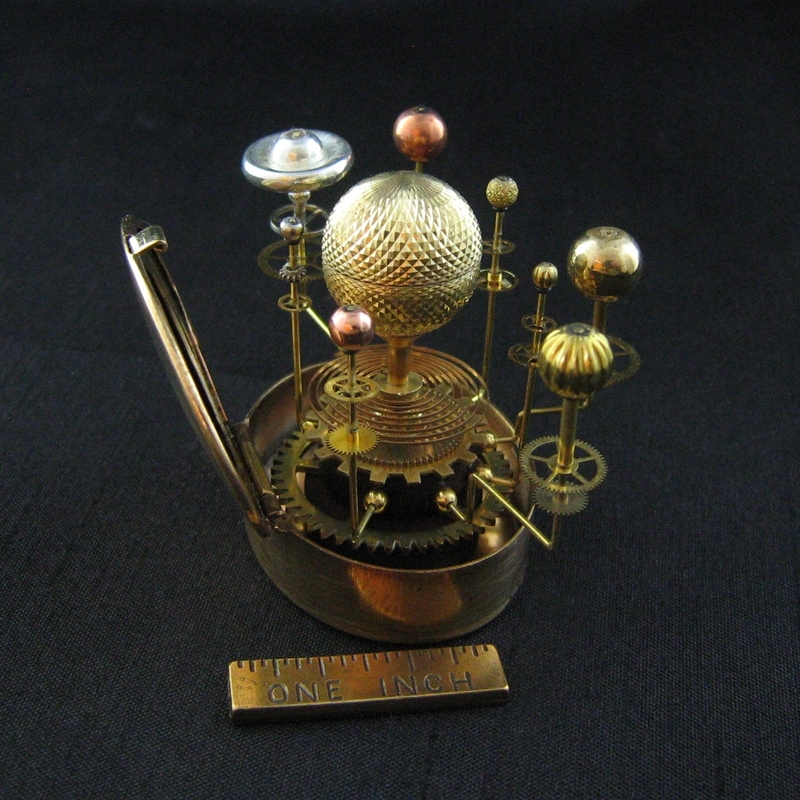 Thanks to @CafeFantasia for additional information about The Orbitron's origins.